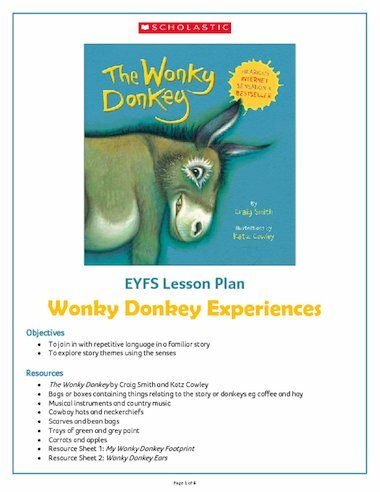 Give your early years children the complete Wonky Donkey experience with this brand new activity pack based on the best-selling book The Wonky Donkey by Craig Smith and Katz Cowley. The pack includes activity plans, photocopiable resources and links to the EYFS Statutory framework. It was so humorous and cute. A good read!